You have a musician friend, family member, colleague, or, god forbid, significant other? Wondering what gift to get them? I’m here to help. These items are all under $50, actually most under $20. And although some may look like toys, they are useful in the pro studio (or the bedroom studio) to add sparkle to a composition or just for plain fun. Time to make “Wolfgang” happy! OK, see what I mean when I talk about toys. But this is not a toy. OK, it is also a toy. But then everything is a toy. Where was I? Ah, story time. I was in this studio and asked the engineer (who’s also a working film/games composer) if he can do any magic to make a few particular notes of my guitar solo sound more bell-like. Him: “Yo, why not make it real, yo? Instead of faking it, do the real thing.” Turns out glockenspiel is the composer’s favorite most useful tool. So we did use it. It was awesome. I went home and bought the same one, pictured above. And below. 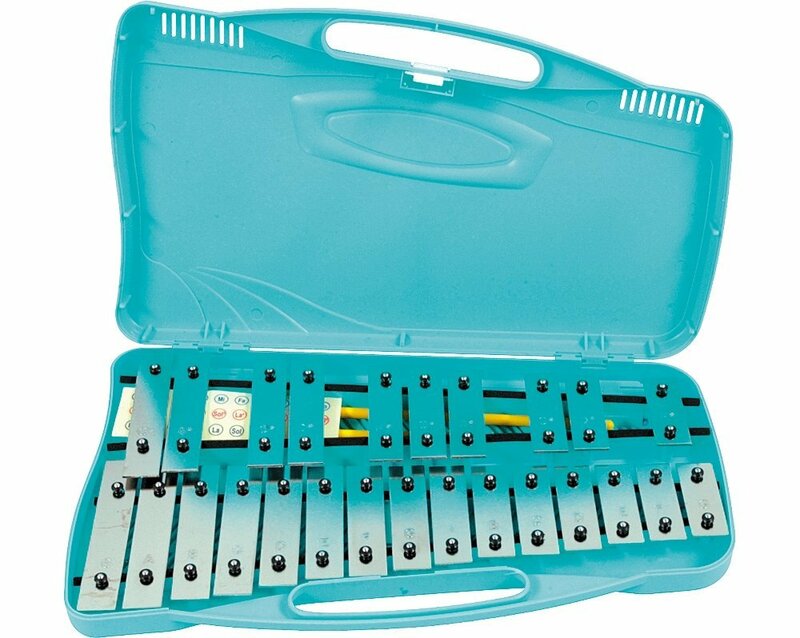 So yeah, go buy your favorite musician friend, the Musical Hope of All Future Generations, a nice little Glockenspiel. They’ll love it! Gorillaz, do I need to say anything further? 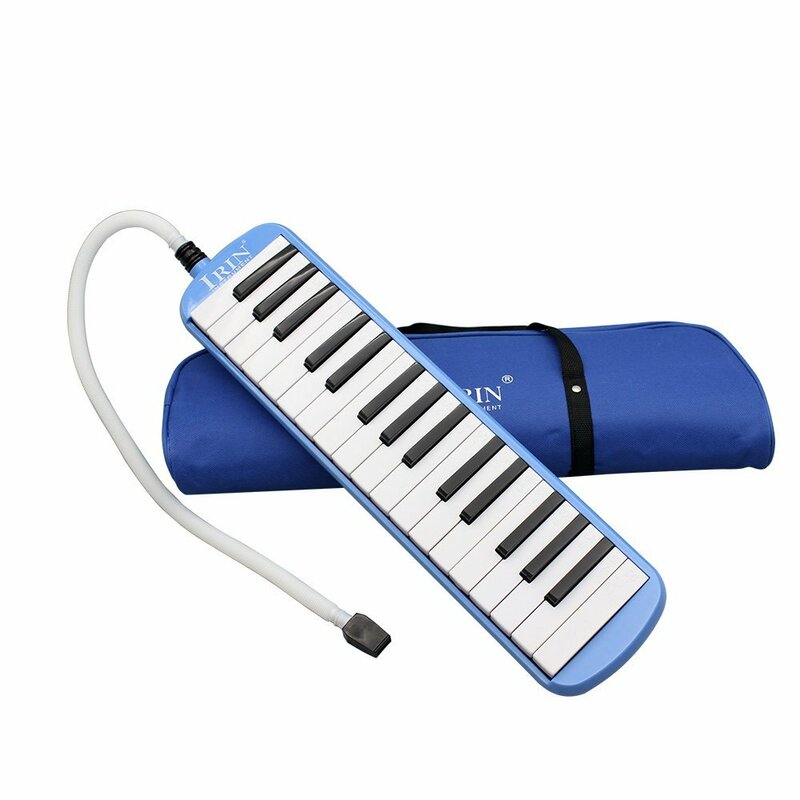 They have so many songs that feature the melodica. 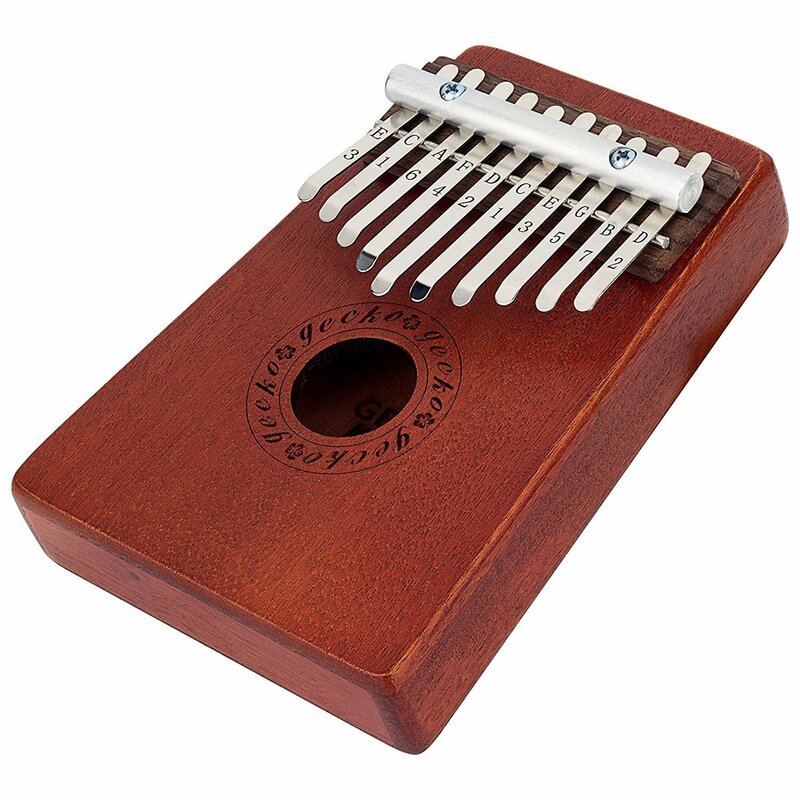 Go get the Kalimba and make the virtuoso-to-be jump for joy. OK, it’s time to move to percussion territory. “Sinatra” needs percussion. There’s no such thing as too much percussion. There are two things about music: rhythm and melody. You need the rhythm. You want the rhythm. You tap to the rhythm. You bop your head to the rhythm. Your heartbeat is a rhythm, you’ve lived with the rhythm all your live. OK, that’s plenty. Let’s go! Every track needs a shaker. What’s shakin’? The shaker’s shakin’, that’s what’s shankin’. Bacon. 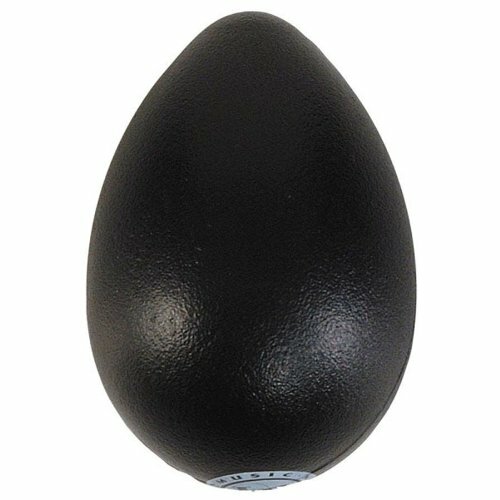 You can get a cute wee egg for $12.56 which is perfectly fine. Or you can go bankrupt spending 5 more bucks for the $17.99 bigger one. Banging two sticks against each other, what could be more enjoyable? I’m pretty sure there’s a picture dictionary out there that shows a clave as a definition of “pure joy”. What’s not as much joy is being in the same room when your Johan Sebastian plays those. They are loud. The tambourine is a necessity. Playing it looks deceptively easy, but it can use some practice. Imagine Future Star is in the studio and is asked to “just a add a tambourine on the bridge”. You don’t want this to be their first introduction to the Instrument. In a high-pressure situation no less. And then everyone goes “Pfft, dude cant even play the tambo”. 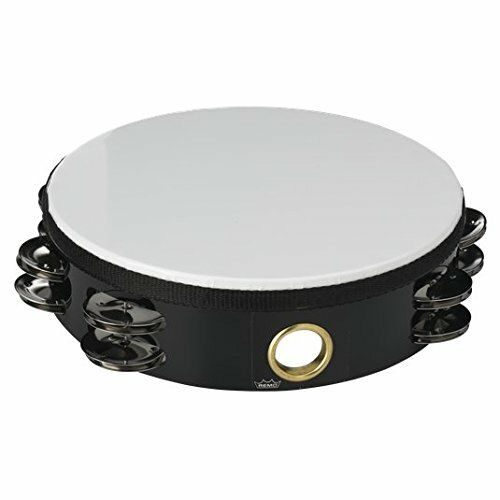 You can get this $20.95 Remo thing (Remo is a company that makes drums so this is not a toy) or for a few bucks less ($11.95 to be precise) acquire this sweet sweet doublygook. You don’t see these everyday, do you? Just get a pair and let Mr/Mrs/Ms Cool get wild. 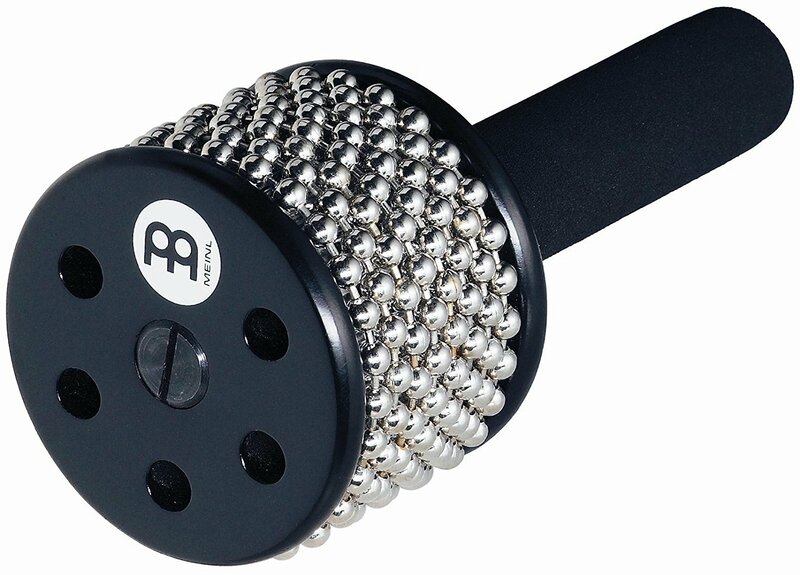 Just another percussion instrument to add to Genius’ musical palette. It’s cool, Latino (I think), passion, dancing… what’s not to love? Protecting one’s hearing is just too important. Especially for musicians, audio engineers, and similar folk. They should never leave the house to go to a concert, to a band practice with Bonzo The Loud Drummer, to a jam with Jimi-Who-Likes-Feedback, or jump on a plane, or, heck, even go to some obnoxious movie theaters. The foam plugs you buy at the pharmacy are fine for industrial sounds, say if Future Star holds a day job at the airport destroying luggage. But not good for anything music-related (band practice, live show) because they don’t cut all frequencies evenly and everything sounds too muffled. 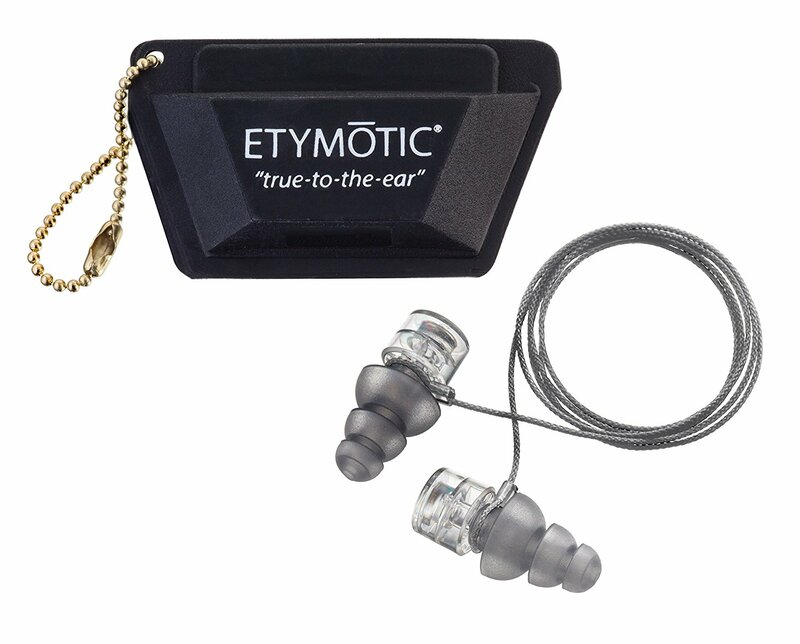 Do your musician bud a favor and give them the gift of a decent set of ear plugs. 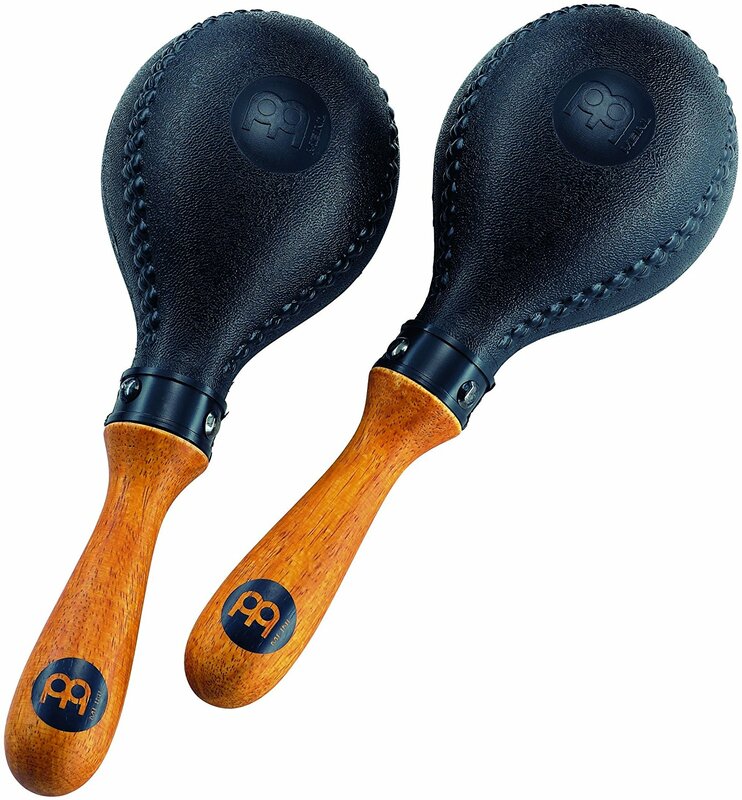 And maybe while you’re shopping type “2” in the “Quantity” box cause just maybe you’ll need ear plugs too… with all these new percussion instruments in your vicinity. The recorder and the harmonica are not explicitly in the list above because they are all too common and chances are that “Mozart” already has them. They do tend to find a way to sneak into your life, even if you never reach into your pocket and buy them yourself. If that’s not the case, by all means, procure one of those. Also, if she/he own these ear-insults, they do come in different shapes. E.g. the harmonica your friend blows into is more likely in C. You can still get a weird one, e.g. in Bb. Or buy a chromatic one, that has all the notes. Or buy a harmonica holder ($12.99) so Mr.Bluesman can have his hands free to insult your hearing playing another instrument simultaneously. As for the recorder, there are wooden, more “worldly” ones, also tiny metal shrill ones… feel free to explore.